The Asus ZenFone Max Pro M2 that is worth Rs. 12,999 has a new update that will bring new features and January Security Patch. Asus said that the update is currently available OTA (Over-The-Air) and will reach the phone owners in a couple of days. The ZenFone Max Pro M2 was launched in India last month since then the phone only received one software update, this was released in the first weeks of January. Asus promises to do a software update that will allow its phone users to experience the Android 9.0 Pie. The update was announced in a tweet by Asus, it stated that the ZenFone Max Pro M2 update will bring an optimized battery performance, better camera functionality, and many more. This update will also add advanced AI scene detection, this will allow the camera to detect and identify the subject in your frame, it will automatically adjust the camera’s parameters, and this will allow you to take the perfect shot. The advanced AI scene detection is capable of recognizing 13 types of scenes. Owners of the Asus Zenfone Max Pro M2 will get a notification once the update is available. You can also check the update manually, you just have to go to your Settings, click System, and check it out in Software Systems. The Asus ZenFone Max Pro M2 was launched in India in December 2018. The phone is running on the Android 8.1 Oreo. The phone has a 6.26-inch Full-HD+ (1080×2280) display that has an aspect ratio of 19:9. The phone has a Qualcomm Snapdragon 660 SoC with 6GB RAM. The phone has a dual-camera rear setup with a 12-megapixel primary sensor and a 5-megapixel secondary depth sensor. 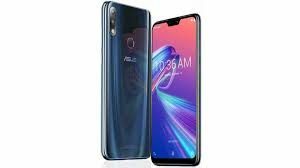 In January, Asus released an update for the ZenFone Max Pro M2, which enhanced text translation optimizations, FM radio noise reduction, and upgraded its touchscreen firmware. If we go back to its launch event in December 2018, the company promised to make an Android 9.0 Pie update for its ZenFone Max Pro M2 in the month of January, phone owners are still waiting for the update as the month of January has come to an end.